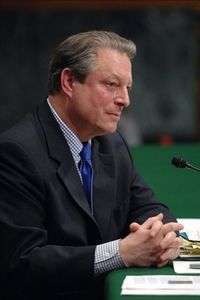 An Inconvenient Truth: The Planetary Emergency of Global Warming and What We Can Do About It is a 2006 book by Al Gore released in conjunction with the film An Inconvenient Truth. It is published by Rodale Press in Emmaus, Pennsylvania, in the United States. 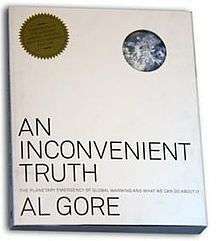 Based on Gore's lecture tour on the topic of global warming this book elaborates upon points offered in the film. The publisher of the text states that the book, "brings together leading-edge research from top scientists around the world; photographs, charts, and other illustrations; and personal anecdotes and observations to document the fast pace and wide scope of global warming." Michiko Kakutani argues in the New York Times that the book's "roots as a slide show are very much in evidence. It does not pretend to grapple with climate change with the sort of minute detail and analysis" given by other books on the topic "and yet as a user-friendly introduction to global warming and a succinct summary of many of the central arguments laid out in those other volumes, "An Inconvenient Truth" is lucid, harrowing and bluntly effective." In 2009, the audiobook version, narrated by Beau Bridges, Cynthia Nixon, and Blair Underwood, won the Grammy Award for Best Spoken Word Album. The sequel is Our Choice: A Plan to Solve the Climate Crisis.